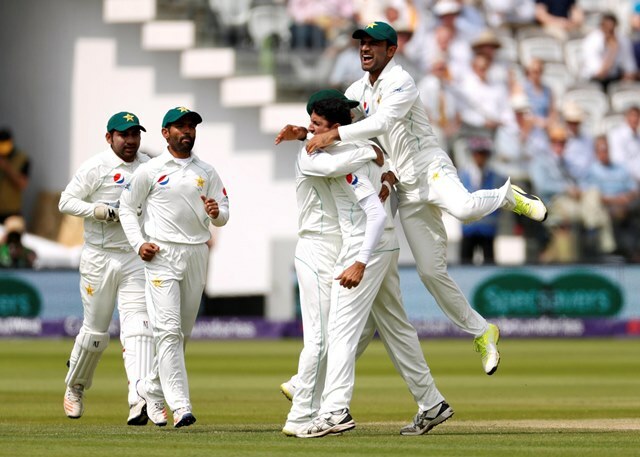 London: Pakistan wrapped up a crushing nine-wicket victory over England on Sunday to inflict the hosts' first defeat in a May test match at Lord's.England's last four wickets tumbled in 27 minutes and Pakistan knocked off the 64 runs they needed in less than an hour on the fourth day to put the touring side 1-0 up in the two-match series. "We were not good enough if I'm being brutally honest, we have been outplayed in all three departments," England captain Joe Root said at the presentation ceremony. "Pakistan's bowlers exploited the conditions well but we played some poor shots and you can't afford to do that." "I am very proud of my team," Pakistan captain Sarfraz said. "We have a very inexperienced team but we are very confident in our players. Our bowlers did a great job for us. "The second test at Headingley starts on Friday.